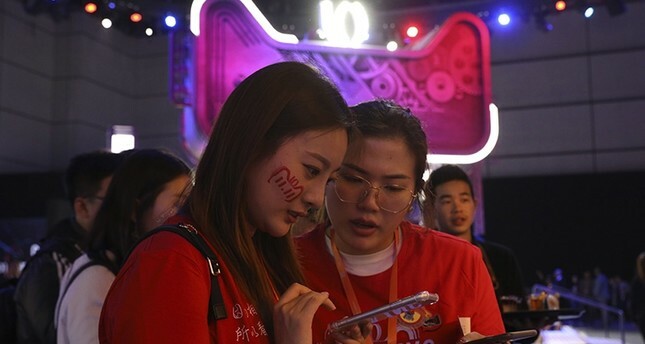 China is observing the biggest shopping event of the year on Sunday – Singles' Day – a day dominated by e-commerce giant Alibaba Group Holding Ltd which saw $25 billion worth of goods sold on its platforms alone in the 24-hour period last year. Alibaba chief executive Daniel Zhang told reporters last week he anticipated 1 billion orders over the 24-hour period of Nov. 11 that marks Single's Day, according to the South China Morning Post. The date of Nov. 11, or "11.11" is meant to signify singleness. Akin to Black Friday and Cyber Monday in the United States, "Singles' Day" has become something of a litmus test for the strength of Chinese consumption, which is coming under pressure amid rising trade Sino-U.S. tensions and a wider economic slowdown. As such, China's leaders in Beijing, global firms targeting the market and e-commerce giants like Alibaba and major rival JD.com Inc. are all paying close attention to Singles' Day for wider signs of consumer strength. China's box office dropped almost 30 percent in October, its steepest fall in over two years, according to data from domestic industry tracker EntGroup. That was also a third straight month of declining sales versus 2017. "I haven't been to the cinema for over a month," said Ji Chunzi, 26, a Shanghai-based trade publication editor, who said it was due to a lack of good films and that tickets had become a bit pricey at 50 yuan to 60 yuan ($7.20 to $8.64) each. iPhone maker Apple Inc and South Korea's Samsung Electronics Co Ltd are grappling with a prolonged slump in smartphone shipments in China, which are down over 10 percent so far this year, according to research firm IDC.